Imagine waking up and that little nagging or negative voice in the back of your head isn't quite as loud. Imagine going through your day and feeling pure joy and peace. Finding ways to relax those negative emotions and reconnect with joy might seem overwhelming and difficult to figure out. But, you don’t need to figure this out alone. Teri Sica LICSW is a fully licensed psychotherapist and coach with over 30 years of experience in private practice. 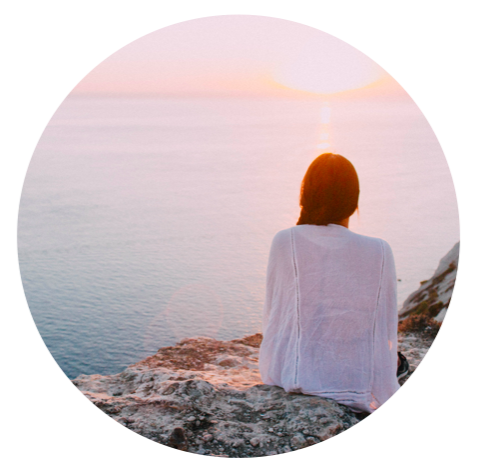 Over the course of the years she has evolved her practice to focus on teaching clients to adopt daily mindful practices in self-compassion to live more peaceful and fulfilled lives. Are you ready to soften that harsh inner critic, but you’re not exactly sure how? Do you want to wake up and experience joy more frequently? Whether you would prefer individual sessions or are more comfortable learning in a group setting, there are many ways to work with Teri.